A stage is an activity that is done sequentially per work item. A skill, on the other hand, is an ability that team members must have to complete work items. 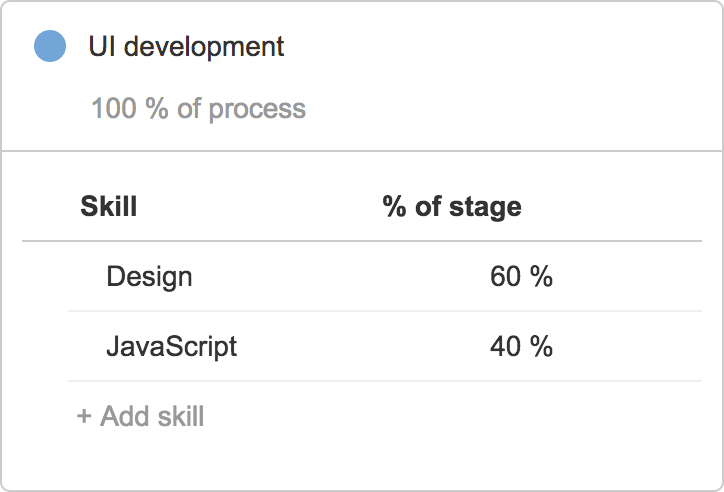 Skills can be defined per stage, and can be used to categorize different types of work within a stage. You can learn more about stages and skills here. You can configure stages and skills simultaneously in Portfolio for Jira. However, we recommend that you create stages first, and then add skills to the stages as necessary. 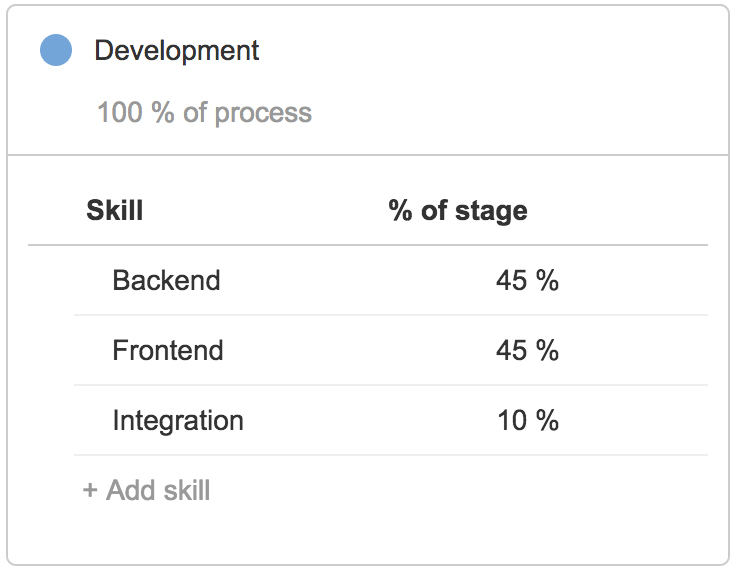 An example of a stage would be Development, and sample skills that can be added to the development stage could be backend, frontend, and integration. Click more ( ) next to the plan name > Configure > Stages and skills. Give the new stage a name, and then click Add stage. Give the new skill a name, and then click Create skill. Choose the estimate allocation percentage for the skill. The estimate allocation will define the percentage of that skill that someone needs to complete that issue. You can add as many skills to a stage, as you see fit for how you and your teams work. To delete a skill, hover over the skill > more ( ) > Delete.